Next up in the Larry Cohen Collection is “Manic Cop 2,” which continues Matt Cordell’s crusade for revenge against the city officials and criminals who set up his imprisonment and murder. “Maniac Cop 2” was once again written and produced by Larry Cohen, with William Lustig also taking up the directorial reins for the sequel. 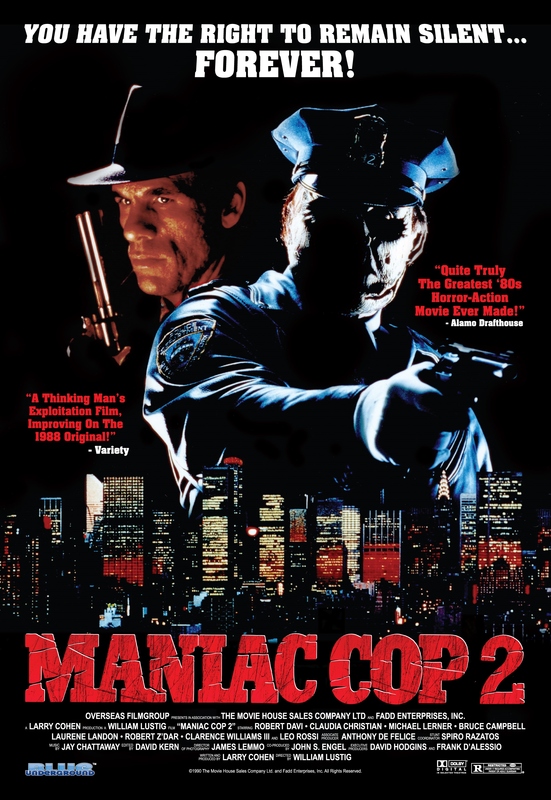 The effects team on “Maniac Cop 2” included Wayne Beauchamp (“Pray For Death,” “Children of the Corn,” “C.H.U.D. 2: Bud the Chud”), Bill Miller-Jones (“Hell Comes to Frogtown”), Dean Gates (“Day of the Dead,” “Super Mario Bros,” “Maximum Overdrive”), John Carter (“Evilspeak,” “The Sword and The Sorcerer”), John Eggett (“Heart Condition,” “Deadly Games”), Jeff Naparstek (“King of New York,” “Winter’s Tale”), Matt Vogel (“C.H.U.D.,” “The Thin Blue Line,” “American Gangster”), and Larry Arpin (“Blood Diner,” “Evil Dead II,” “The Dentist”). Bruce Campbell, Robert Zdar, and Laurene Landon reprise their roles from “Maniac Cop,” joining new additions to the franchise Robert Davi (“Die Hard,” “License to Kill”), Clarence Williams III (“Half Baked,” “The Butler”), Claudia Christian (“Babylon 5,” “Arena”), Michael Lerner (“Barton Fink,” “Godzilla”), Charles Napier (“The Silence of the Lambs,” “Rambo: First Blood Part II”), and Leo Rossi (“Halloween II,” “Leonard Part 6”). The story of “Maniac Cop” picks up right after the events of “Maniac Cop,” with the NYPD still not acknowledging the survival of Matt Cordell, but clearing previously accused detective Jack Forrest regardless. However, the killings continue, and another serial killer arises, preying on exotic dancers throughout the city. Against the odds, the two killers join forces against the police and the city, out for revenge and chaos. Director Sam Raimi (“Army of Darkness,” “Spider-Man”) once again appears in a cameo role, as the well-noted and instantly-recognizable character actor Danny Trejo (“Anaconda,” “Machete,” “Breaking Wind”) in one of his first on-screen performances. 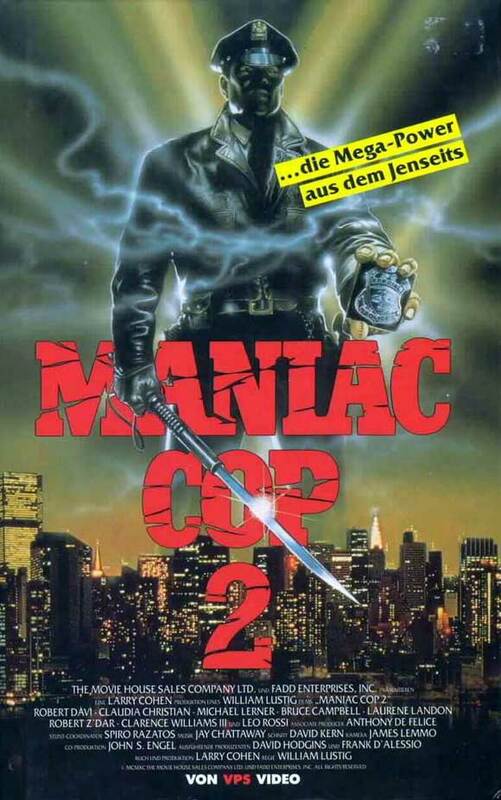 The budget of “Maniac Cop 2” was notably higher than the original, topping off at an estimated $4 million. The movie, however, went direct to video in the United States. I wasn’t able to dig up any gross information, but given the lack of success of the first film, I would be shocked if it made a significant profit over its foreign theatrical run. 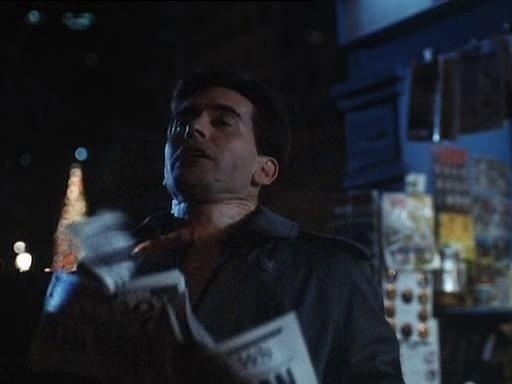 “Maniac Cop 2” received praise for its use of New York City locations and excellent practical effects, particularly the pyrotechnics in the film’s climax, which make for a significantly explosive conclusion. Some fans of “Maniac Cop” were upset by the quick dispatching of the characters that returned from the first film. My point of view on that is, the main character of “Maniac Cop” (Tom Atkins) didn’t make it all the way through that movie, so how can it be a surprise that main characters get killed off here? I do consider ‘Maniac Cop 2′ to be my best film. It was the film [where] I felt as though myself and my crew were really firing on all cylinders. And I think we made a terrific B-movie. We tried to make it a better film [than “Maniac Cop”]. Take the ideas and concepts and first and improve upon them. “Maniac Cop 2” provides more action than the first movie, which is one of the biggest complaints I noticed people having with it. At the same time, that happens at the expense of some of the effective atmosphere of “Maniac Cop,” but only to a certain degree. Overall, “Maniac Cop 2” is a pretty solid sequel to the original, and is far better than the typical horror sequel by far. 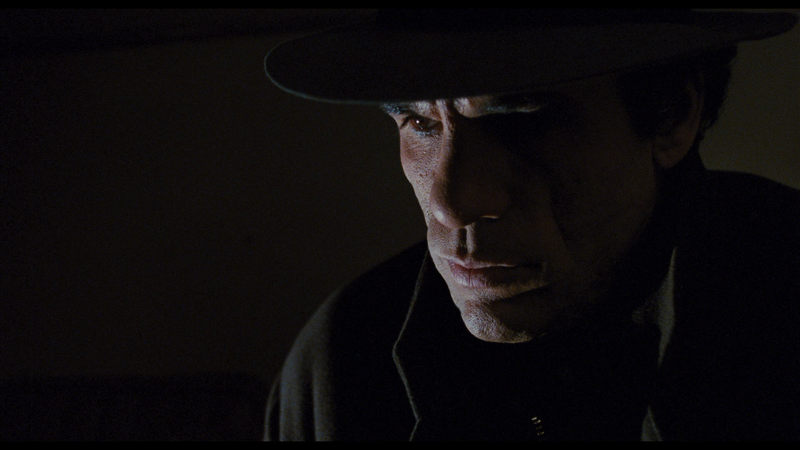 Robert Davi is a good addition to the franchise without any doubt. 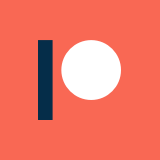 However, it feels a little bit like two movies forced into one: the first segment of the film basically just wraps up the story of the first, and then it gets on to its own story. It makes the whole film feel just a little weirdly paced and off-focus. For fans of “Maniac Cop,” Larry Cohen, or William Lustig, this is a film worth checking out. 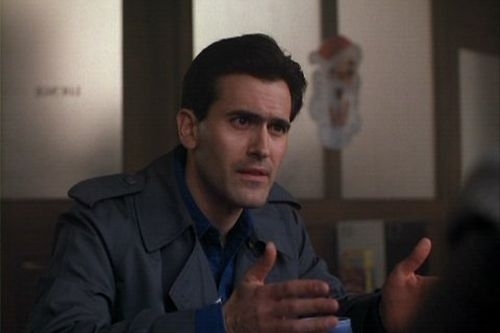 For fans of Bruce Campbell, he doesn’t appear in much of the movie, and isn’t his typical hammy self either. This isn’t a campy movie, and if you have your expectations about that straight going into it, you’ll find something to enjoy.